Arne Duncan has been one of the most destructive forces to public education in the history of our country. Duncan was appointed by President Obama as the Secretary of Education, but his real role has been “testocracy tsar”–as his signature policies of Race to the Top and Common Core have been singularly focused on promoting high-stakes, standardized test-and-punish policies in service of the privatization and charterization of the public schools. One of the most cruel aspects of Duncan’s legacy was his pronouncement that Hurricane Katrina was “the best thing that happened to the education system in New Orleans”–coupled with his celebration of the fact that because of Katrina, 100 percent of the New Orleans schools were converted to charter schools. Duncan’s initiatives have been designed to reduce the intellectual and emotional process of teaching and learning to a single score that can be used to close schools, fire teachers, stop students from graduating, and siphon more and more money out of the public schools towards privatized charter operators. For that reason, I hope you will raise a toast with me this evening–let’s say at 6pm Pacific time, and make it a collective action–at Duncan’s announcement today that he will step down from his post in December. Still, it’s worth marking the departure of Duncan–someone whose policies have damaged so many children across the country–as we continue planning to do away with the testocracy all together. During the summer of 2010, several other educators and I obtained an in person meeting with Secretary Duncan–so when I say that I am celebrating his departure, I base that not only on having followed Duncan very closely in the news, but also on how he failed to adequately answer my direct challenge to him about how his policies were designed to favor corporate reformers over children. When Secretary Duncan came to deliver a speech in my home state of Washington, I joined a throng of protesting teachers who picked his appearance and his corporate reform policies. As we rallied outside the high school, the event planners grew nervous that we would disrupt this stage-managed affair. They offered us a meeting with Duncan in exchange for our polite behavior during his address. We agreed, and after the event were escorted to a nearby classroom for the meeting. Those thirty or so minuets with the Secretary sealed my understanding of just how hurtful his policies are. 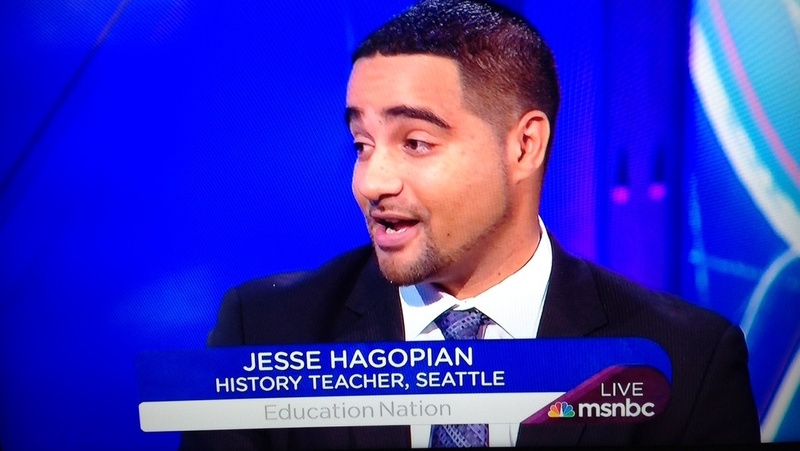 Check out the essay I wrote, “Schooling Arne Duncan,” that details our encounter with the Secretary. Then raise your glass with me. At my elementary school, I teach the students they may not agree with everyone, but we need to treat everyone with respect. This is a very disrespectful article. 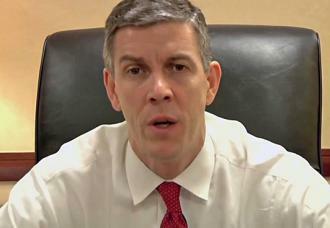 You may not agree with Arne Duncan, but there is no need to be disrespectful. Teachers all over the US are celebrating the resignation of Charter School/Common Core czar Arne Duncan. A strong proponent of the corporatization of public education, Duncan is best known for using high stakes testing to “punish” under performing schools by closing them and replacing them with private charter schools.